Newcastle is a quiet suburb situated between downtown Bellevue and Renton. Take advantage of living close to I-405 and within reach of Microsoft, Bellevue College, and T-Mobile. Newcastle provides the best of the Eastside with great schools, dining, and shopping. Karbon Apartments offers modern apartment homes with easy access to Bellevue and all of the comforts of suburban life. Browse our available floor plans and discover why we are the ideal apartment community in Newcastle! Karbon Apartments is the ideal home base for Microsoft and T-Mobile employees. 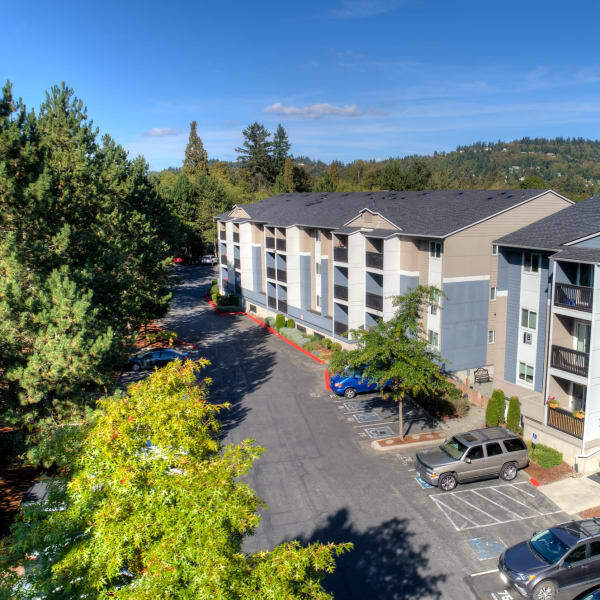 Our Coal Creek Parkway address puts us within minutes of the Factoria Mall, great dining and shopping, well-rated schools, and spectacular outdoor recreation. Play 18 holes at the Golf Club at Newcastle, toss around the frisbee at Lake Boren Park, or enjoy views of Lake Sammamish from the top of Cougar Mountain. Explore the neighborhood with us. Karbon Apartments was designed to highlight the very best of the Eastside. We look forward to welcoming you home.